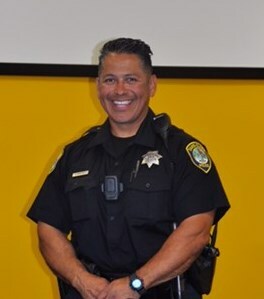 The Santa Clara Police Activities League would like to extend our sincerest gratitude to Officer Robert Martinez for his time served as our Executive Director. Robert presided over the most successful era of growth at SCPAL, and when called upon extended his commitment as Director for an additional year. He has been a positive force and an incredible influence for the Santa Clara PAL community and his presence, hard work, and leadership will be deeply missed. On behalf of SCPAL and the Santa Clara community we wish Officer Martinez well on his next assignment at the Santa Clara Police Department.